This spring provided excitement and adventure for many Lycoming College students as they broadened their horizons and traveled to various parts of the world for a variety of learning opportunities. Four May Term courses provided 55 students travel experiences to England, France, Spain, the Dominican Republic, and the Adirondacks. Six students from Lycoming College spent their spring semester at the Cyprus American Archaeological Research Institute (CAARI), participating in a study abroad program titled, “The Afterlife of Artifacts.” The four-course curriculum offered students the chance to engage in an intensive museum internship, a research and museum visit experience, and hands-on lab courses that dealt with artifacts excavated by the Lycoming College Expedition to Idalion. Five Lycoming College students are preparing for new adventures to study abroad with opportunities secured through the College’s Center for Enhanced Academic Experiences (CEAE). The students will all participate in semester-long programs that will enable them to take classes abroad and receive credits that will count toward their degrees, while fully immersing themselves in a new culture, both academically and professionally. The beauty of the Vietnamese countryside, the breathtaking pace of bustling cities and the cultural differences drew the attention of art students from Lycoming College who traveled to the Asian country. Several professors accompanied the students to teach classes in photography, drawing and painting. Students from Lycoming College now have the ability to study at the Universidad Popular Autónoma del Estado de Puebla (UPAEP) in Puebla, Mexico as part of an exchange agreement between the two schools. Students from UPAEP will also have the opportunity to study at Lycoming College. 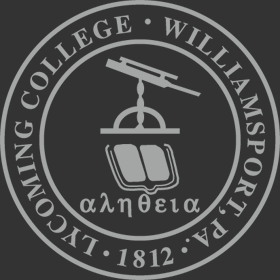 Students at Lycoming College now have another study abroad option because of a recent partnership agreement with Athena Study Abroad.